Poojas are a powerful ritualistic form to communicate with the Supreme for the fulfillment of some desires. It is also considered a powerful medium to purify our mind and soul by cleansing the negative tendencies within us. Poojas can also be performed for the attainment of specific goals like wealth and prosperity or lasting relationship. 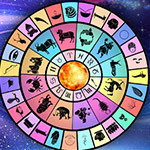 We also have list of specific poojas to help you make an improvement in definite areas of life. The star constellation that the Moon is transiting or staying in, at the time of birth of a person, is known as his or her birth star. This is also known as the individual’s Nakshatra or Janma Nakshatra. This phenomenon will get repeated in every star cycle and will generally happen once a month and 12 times a year. When the Moon travels in the birth star of a person during his or her month of birth, that day will be known as the person’s star birthday. Gho Pooja denotes the worship of Goddess Kamadhenu, the divine bovine Goddess, who can fulfill all your wishes. Performing Gho Pooja can wipe out all negativity and bestow you with wealth, happiness, and prosperity in life. Lakshmi is the Goddess of wealth, prosperity and fortune. 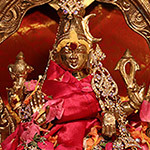 She is one of the Tridevis, the holy trinity of Goddesses and the consort of Lord Vishnu, the supreme God of protection. Lakshmi worship is done with a lot of faith by the people, and it is a firm belief that this can fill their lives with many riches. 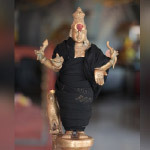 Sumangali denotes a married woman whose husband is still alive. This pooja is performed to invoke the blessings of ancestral women of the family who have departed the earth plane. 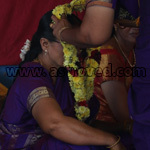 Performing the pooja satisfies the unfulfilled yearnings of these women, and they in turn bless the family. 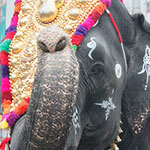 Gaja Pooja is a special ceremony performed to honor the elephant, which personifies the divine traits of Lord Ganesha. 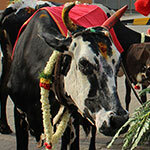 Performing this special Pooja for the sacred animal can remove obstacles, bestow with the power of intuition and bring in wealth from various sources.